Either to sterilize a solution or collect microscopic samples filtration products are quickly becoming a staple in the lab. 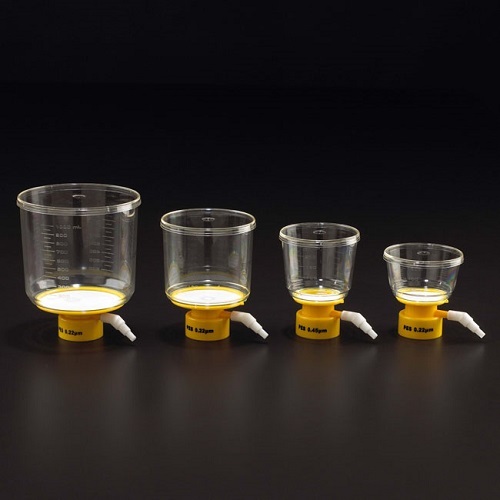 To keep our customers up-to date Pipette.com carries a wide selection of filtration products and high quality brands. Syringe Filters: Available in a variety of membrane types, porosities & diameters to match your solutions criteria. 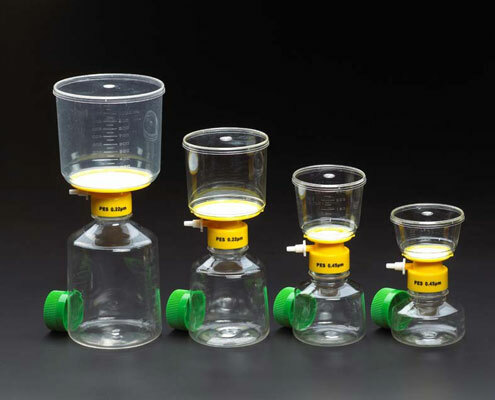 50mL Centrifuge Tube Filter System: Eliminate a sample transfer step by filtering directly into a 50mL tube. Filter Systems: Reduce the risk of contamination! 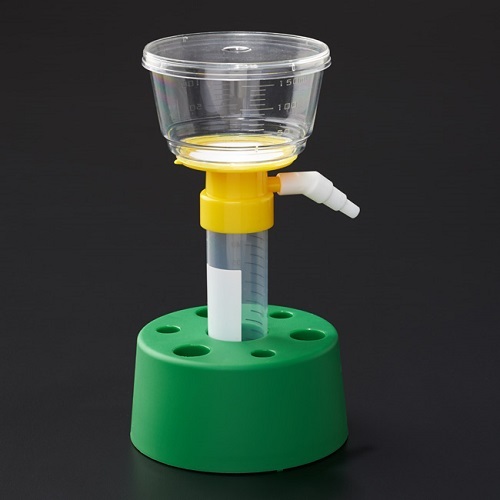 Cell Strainers: Applications include isolating cells, removing clumps or debris. 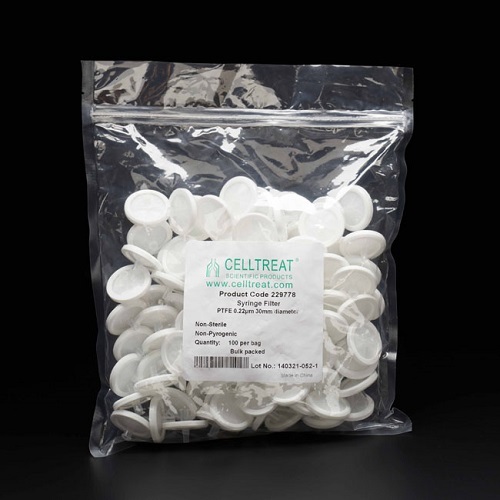 CELLTREAT Bottle Top Filters are a great product to filter solutions and reduce risks of comntamination. Available in 1000mL, 500mL, 250mL, and 150mL with 0.22μm, and 0.45μm filter pore sizes. 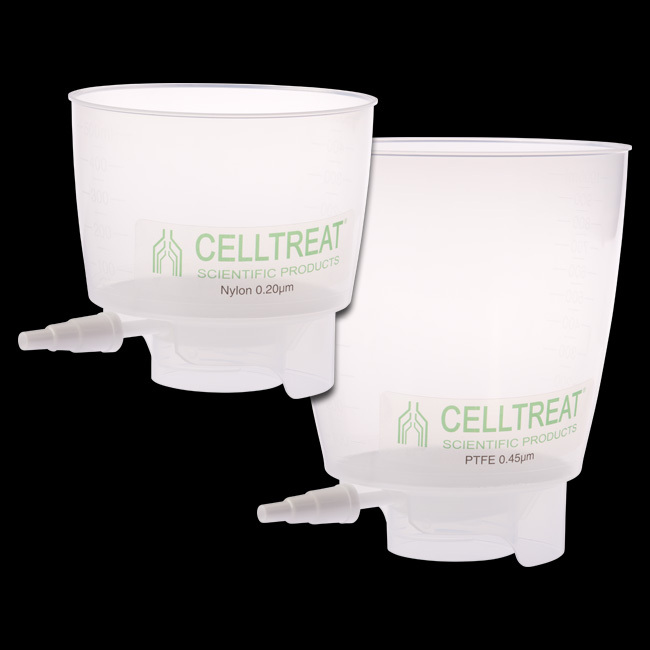 CELLTREAT Syringe Filters are available in 0.10µm, 0.22µm, and 0.45µm porosities and a variety of membrane types and diameters. 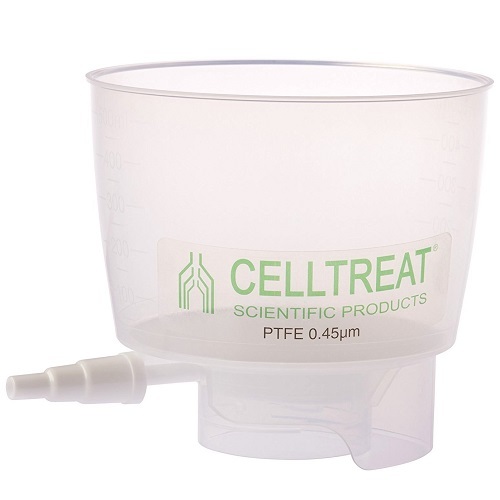 CELLTREAT 50mL Centrifuge Tube Filter System eliminates the hassle of sample transfer. 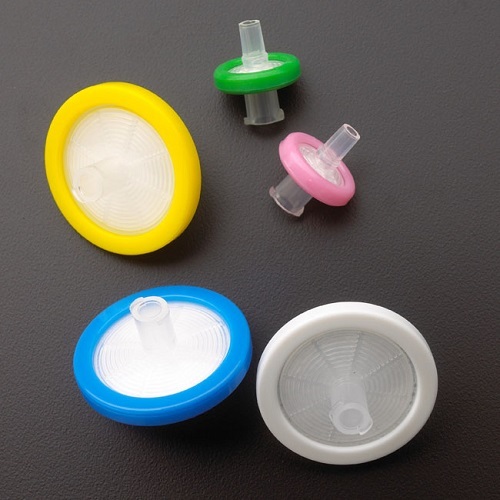 Nylon bottle top filters are made with hydrophilic nylon (PA) membrane that has excellent chemical compatibility with esters, bases and alcohols, and does not require pre-wetting. Non-sterile, bulk syringe filters offer a low-cost alternative for removing particulate material from solutions. 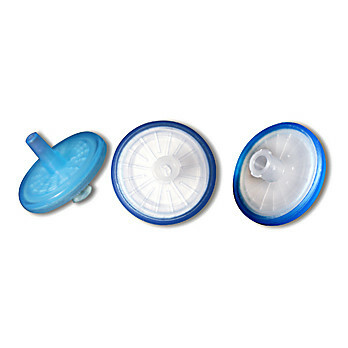 Nylon bottle top filters are made with hydrophilic nylon (PA) membrane that has excellent chemical compatibility with esters, bases, and alcohols, and does not require pre-wetting. Nest Scientific Syringe Filters are ideal for filtration protocols in research labs and manufacturing sites. 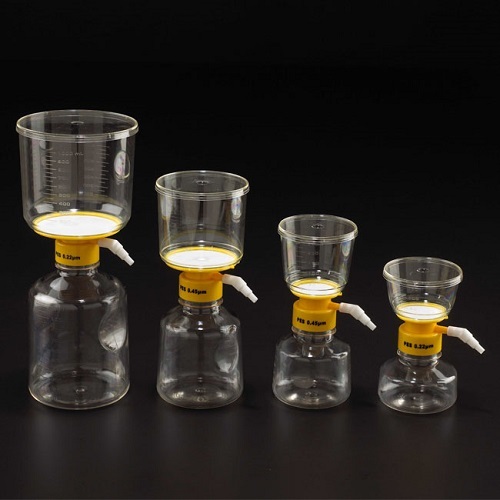 Kimble Filtration Glassware includes a range of different Filtration Adapters, Filtration Bells, Filtration Domes, Filtration Funnels, Filter Flasks and Microfiltration Assemblies. 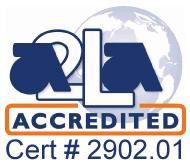 All glass parts of Kimble Filtration Glassware are manufactured from 33 expansion, low extractable borosilicate glass.